In On the Philosophy of Hats by A.G. Gardiner we have the theme of appearance, perception, class and character. Taken from his Pebbles on the Shore collection it becomes clear to the reader from the beginning of the essay that Gardiner may be exploring the theme of appearance. For Gardiner and the hatter appearances seem to be important. So important that both feel as though they will be judged not only outwardly but inwardly by others due to their appearance or the size of their hat. With those of a larger head being considered to be more important to the hatter. Something which many readers may find ridiculous and which Gardiner himself is deliberately telling the reader in order to ridicule the hatter. Simply because Gardiner himself due to having a smaller head than a lawyer or the captain of a ship may feel offended. 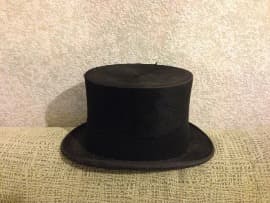 If anything the hatter (and others mentioned in the story) seem to be appropriating class to an individual based on their professional observations. Yet none of the professions mentioned would be in common agreement with one another. Which may be the point that Gardiner is attempting to make. He may be placing a spotlight on the idea of class and what makes a person lower, middle or upper class. It could also be a case that Gardiner is suggesting that people (professionals) are keen to judge a person based on the needs that the individual may have. Something that is clearer to the reader when Gardiner suggests some of the conclusions that a dentist might reach when it comes to inspecting a person’s teeth. At no stage of the story does the reader feel as though any of the professionals are judging an individual (or Gardiner himself) based on their character. This is not something that seems to be important. Whereas the reality is very much different. A person’s character defines them more than their physical appearance. Yet the professionals mentioned in the story seem to be blind to this. Just as the hatter wouldn’t look at a person’s teeth or a shoe maker look at a person’s head size. All are guilty of judging an individual by their narrow minded perception of the person. A perception that is biased and based on each person’s profession. In many ways there is also a sense that Gardiner is attempting to make a mockery of both the middle and upper classes. With many judging a person based solely on their profession or their financial wealth. Again an individual’s character is not considered. It is also possible that Gardiner is suggesting that in life everybody will be judged incorrectly based solely on their appearance. It is the way that the world and society functions. Looking at a person outwardly to formulate an opinion on them without looking inwards at the person and seeing the good or bad that might be there within the person. If anything Gardiner may be highlighting how natural it is for an individual to judge another individual based on their own bias or their own belief system. Without ever looking at the possibility that their judgement based on outward appearance may be incorrect. In fact the only person who defends the character of the individual is Gardiner and he is driven by the hatter’s misconception of him. Gardiner gives thought to his explanation of others yet this same honesty is not shown by the hatter or the dentist or any of the other professionals mentioned in the story. The end of the story is interesting as Gardiner is left feeling that nothing will change. That society will continue to judge others based solely on appearance. This in itself is dangerous as it is easy for one to give off the appearance of success but in reality be a rogue. Someone whose main objective is to prey on the more vulnerable in society for their own financial gain. It is for this reason that the truth about an individual remains elusive. Society pigeonholes people into a class or a preordained role that is acceptable to those who consider themselves to be knowledgeable in affairs (the professionals) of such matters. Whereas if the individual thinks outside the box and allows for the possibility that what is seen by one’s eyes may not necessarily be true. Society as a whole may improve and be more inclusive. Including those who are on the fringe of society because of their appearance yet are of good character. However the chances of this happening are practically nil in light of society’s dependency on viewing or judging a person based on their appearance. Which can only result in the status quo remaining and those in authority (the professionals) defining the class of a person based on their own narrow minded criteria. When the reality is nothing can really be said about an individual based on the size of the hat they wear. McManus, Dermot. "On the Philosophy of Hats by A.G. Gardiner." The Sitting Bee. The Sitting Bee, 25 Jan. 2019. Web.